The less percentage of Voting in TS signalling.. The less percentage of Voting in TS signalling.. 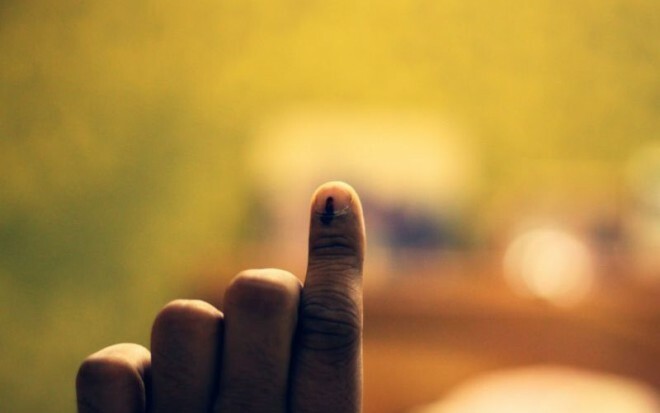 The less percentage of Voting in TS signalling..
Hyderabad, Apr 12: While Andhra Pradesh witnessed 'violent vote' in Assembly and Lok Sabha polls with series of violent incidents, murders and damaging of EVMs, it was a 'silent vote' in Telangana Lok Sabha polls. Just about 63 per cent polling was recorded in Telangana while AP recorded a higher 77 per cent. In three Lok Sabha seats in Hyderabad limits, the polling percentage was just 40 per cent. But the 'silent vote' indicates that TRS may end up below 10 seats. Political analysts say the higher polling percentage of over 70 per cent in recent Telangana Assembly polls in December 2018 had benefited TRS. The lower turnout in Lok Sabha polls would now benefit Congress and BJP in five to six seats, they say. Telangana people showed not much interest on Lok Sabha polls which was reflected in the poor turnout at polling booths.